In Kentucky, hemp is poised to become a big industry, reviving the fortunes for farmers who once made their living growing tobacco. This article originally appeared in Southerly, and is reprinted with permission. Hemp, praised for over 25,000 uses—from clothes and food to plastic and dynamite—is a variety of the Cannabis plant that is distinct in both cultivation and use from marijuana. 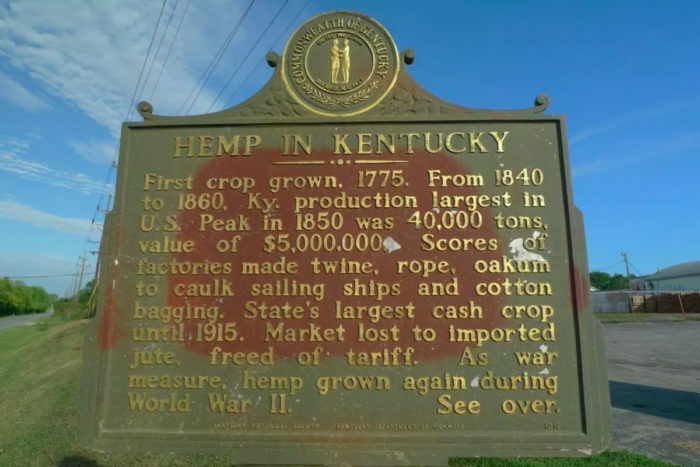 Kentucky is now the fourth largest hemp producer in the nation, and some state officials and farmers think the industry could provide an economic boon for farmers who once made their living growing tobacco. With the surge in hemp interest in the South and across the U.S., it’s hard for small farmers to compete. Small operations weren’t able to access federal loans or grants until the 2018 Farm Bill, which passed in December and removed hemp containing less than 0.3 percent of tetrahydrocannabinol (THC) from the Controlled Substances List. Kentucky, where the average farm size is now 169 acres, used to depend on diversified, small family farms. 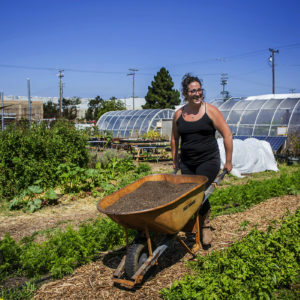 Now, of the nearly 80,000 farms statewide, only five percent are less than 10 acres. Small farmers are looking for niche markets to survive financially, and while the amount of products that can be derived from hemp—hemp seed and CBD oil for starters—could provide those specialized products, it’s hard for farmers to break into a burgeoning market. Silvernail thinks joining forces through a regional cooperative could provide a sustainable solution. By combining their acreage, equipment, and expertise, small farmers hope to increase access and lower their investment in hemp production. 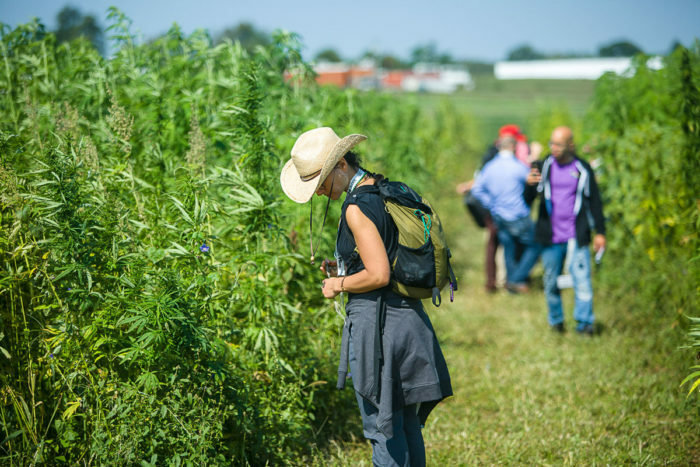 At least 15 farmers recently formed the Kentucky Organic Hemp Cooperative (KOHC), which is one of the first organic hemp cooperatives in the nation. Last year, Alice Collins and Joe Mettille grew an experimental half-acre of hemp at Collins’ family’s cattle farm in Anderson County, Kentucky under the Kentucky Department of Agriculture’s pilot program. 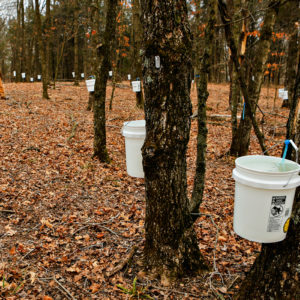 Even though a wet summer caused part of their crop to mold, they still ended up with 400 pounds of product to process. The pilot program that allowed Kentuckians like Collins, whose farm is now part of the cooperative, to farm hemp exploded last year. 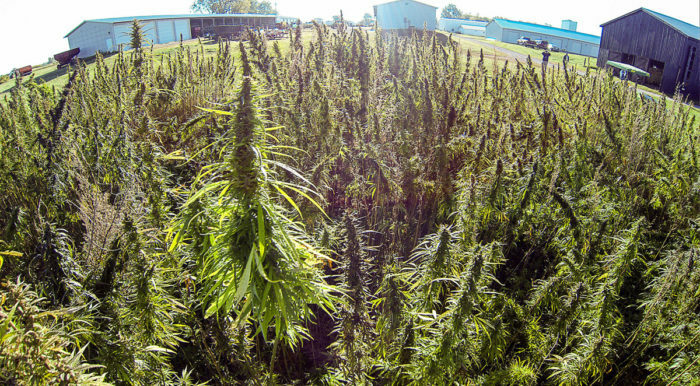 The initial test subjects—20 approved growers and nine approved processors—have since grown almost tenfold, and hemp blooms in over half of Kentucky counties. In January, the state agriculture department approved applications for over 1,000 new hemp farmers and 100 new processors. The hemp industry is ramping up throughout the South: three quarters of Southern states are now cultivating industrial hemp. While the Deep South lags the rest of the region—Georgia, Louisiana, and Mississippi still don’t have state programs allowing its cultivation—South Carolina is doubling its production in 2019 and North Carolina is building the largest processing facility in North America. Some Kentucky co-op members hope they can partner with other cooperatives forming in North Carolina and West Virginia to form a regional support network. Southard says hemp is a crop that connects Kentucky’s past with Kentucky’s future, and many farmers in the state hope they can make it as lucrative as tobacco. Vice President of the cooperative, Jane Harrod, has a farm that dates back to 1804, where her family grew hemp for generations. In 1937, a crushing tax made producing hemp financially impossible. After one last hurrah during World War II—when American farmers grew over 375,000 acres of hemp for the war effort—the federal government banned the crop and shuttered hemp processing plants, when it banned cannabis of any kind with the Controlled Substances Act in 1971. For decades, industrial hemp and marijuana were considered the same under federal law. Around the same time, the Burley Tobacco Growers Co-Op was founded, uniting farmers from Kentucky, Indiana, Ohio, Missouri, and West Virginia. Before the agricultural cooperative came on the scene, the unyielding market control of the American Tobacco Company kept farmers indebted and impoverished. The grower’s co-op helped re-establish parity pricing in tobacco farming, making it easier for farmers to sell directly to manufacturers. Tobacco grew until the industry bottomed out nearly two decades ago, when growers were offered a buyout by the U.S. Department of Agriculture and 70 percent of Kentucky farmers abandoned the crop, transitioning to cattle, corn, and soybeans. The tobacco program is now gone, but a smaller contingent still sells and markets through the Burley co-op, now based in Lexington, Kentucky. Although Southard said he isn’t sure if hemp can replace tobacco, he sees potential as former tobacco growers gravitate to the program. Hemp is more lucrative than corn and soy, but the industry is wading through its first year of legalization before the problems and potential of the hemp market become more clear. Kentucky farmers struggling to make ends meet hope hemp will add buoyancy to a changing landscape. While farmers become more reliant on side ventures like agritourism and off-the-farm jobs, new innovations like driverless tractors are gaining traction and farms are continuing to consolidate. 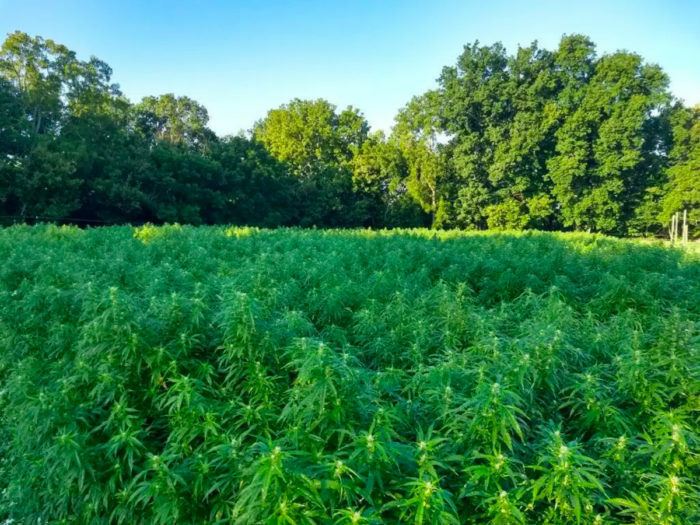 Some farmers and experts think a reliable cash crop like hemp could help small farmers compete with the efficiency and productivity of large farms. 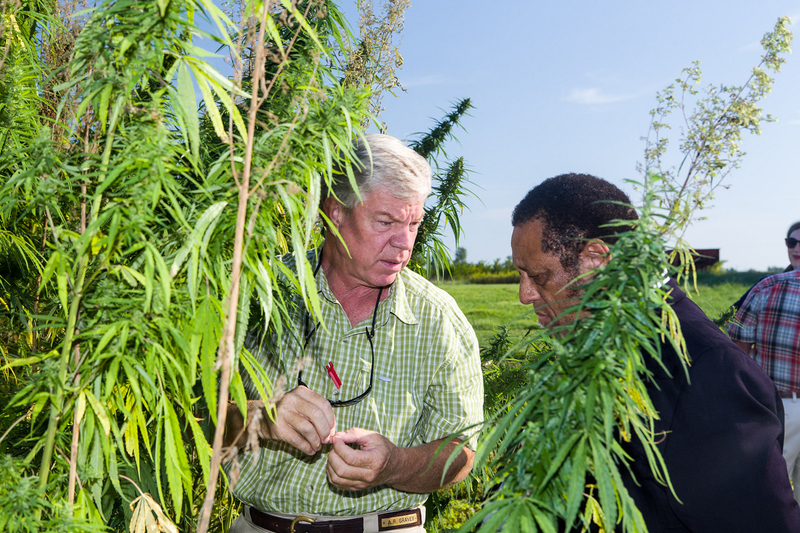 University of Kentucky agronomy professor David Williams, who has led hemp research projects since 2014, said it’s far too early to know how hemp could impact the future of farming in Kentucky, but it’s unlikely to exist in the same space as tobacco. An Organic Hemp ‘Gold Rush’ Ahead? The organic hemp cooperative could form a protective nest around small farmers as the market shakes out. 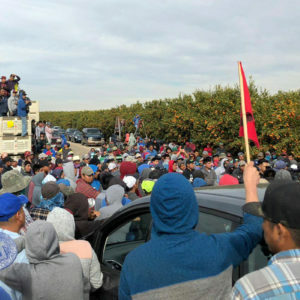 Instead of investing in seeds, machinery, and labor to grow their own 60 acres, farmers are taking less risk and investing in a small portion of their cooperative’s 60 acres. Small farm families still want to make sure their contributions—at about 1,000 plants, or half an acre—will be protected and that they’ll see financial benefits. Silvernail said they still haven’t hammered out all the details, like distributors, but in early March, they formally elected board members. Although some of the cooperative members dream of growing for fiber and grain someday, right now they’re following the money and growing exclusively for CBD, which can bring in $20-50 per pound. In 2017, at least 70 percent of hemp production was for CBD, and some analysts predict CBD will be a $22 billion market by 2022. Williams’ research shows that in Kentucky hemp grown for fiber or grain today as equally profitable to corn or soybeans, but the impact of hemp grown for CBD isn’t clear yet. A glut of new growers could flood the market: it happened in 2017 in Canada when overproduction caused hemp seed prices to nosedive, and in 2018 when Oregon grew a surplus of marijuana that farmers couldn’t sell. “The economics surrounding hemp grown for cannabinoids today are both undefinable and unsustainable,” Williams said. For many of the cooperative members, the potential benefits for the hemp boom, and the cooperative model, outweigh the risks. Collins and Mettille used to rely on selling eggs to neighbors, which had them spinning their wheels financially. Going into their second year of hemp farming, they’re bringing on reinforcements to help with labor, sharing a greenhouse and electricity with a neighboring farm, and expanding their operation.